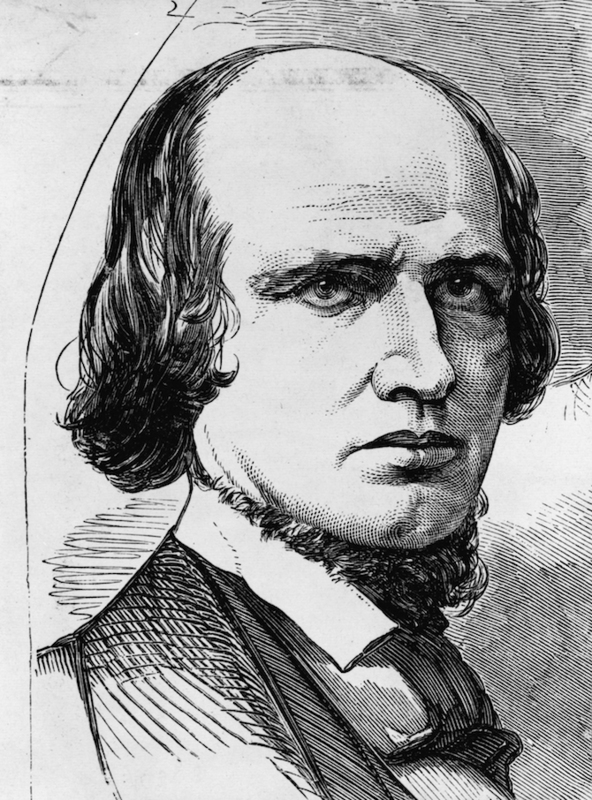 Reuben Davis, a prolific lawyer and politician, was born on 18 January 1813 in Winchester, Tennessee. Following the wishes of his father, a Baptist preacher, Davis moved to Hamilton, Mississippi, to study medicine with his brother-in-law. He could not resist the lure of the law, however, and earned a law license and settled in Aberdeen with his bride, Mary. Known for his courtroom theatrics, Davis built a thriving law practice that later prompted historian Dunbar Rowland to rank him among the three greatest criminal lawyers in Mississippi history. Davis was elected colonel of the 2nd Mississippi Infantry in the Mexican War and embarked for Mexico in 1847. Plagued by illness, Davis’s regiment never saw action, and his time in Mexico was one of the unhappiest of his life. Davis subsequently concentrated on his political aspirations and after several unsuccessful attempts won the Democratic nomination for Congress and defeated Whig Charles Clark in 1856. Davis joined the southern fire-eaters in Congress and made speeches defending slavery and advocating secession, making him a hero to many of his constituents. He won reelection in 1858 after no one stepped up to challenge him. Joining other Mississippi statesmen, Davis spoke around the state to unite Mississippians against Abraham Lincoln in the 1860 campaign and to urge secession after Lincoln’s election. As the Mississippi secession convention met, Davis resigned his seat in Congress and returned home to Aberdeen. After the Civil War started, Gov. John J. Pettus appointed Davis major general of the state military board, where he helped to raise, drill, and arm the militia. When the Confederacy asked for troops, Pettus appointed Davis commander of an ill-equipped expedition of sixty-day Mississippi volunteers into Kentucky to defend Bowling Green. The failure of this expedition earned Davis great criticism as a military leader. Moving from the military realm back into the political one, Davis easily won the election to the Confederate Congress and began serving in 1862. He became a very vocal opponent of Pres. Jefferson Davis’s administration. The two Davis men, who were not related, knew each other as members of Mississippi’s prewar congressional delegation. Reuben Davis’s views on conscription and other military matters often brought him into conflict with not only Jefferson Davis but also other members of Congress. Reuben Davis resigned his seat in 1863 and ran for governor, losing in a landslide to war hero Charles Clark. After the death of his first wife in 1865, Davis married Sallie Garber, who gave birth to three children. His law practice in Aberdeen again flourished, and he soon found himself drawn back into politics. Davis joined with other whites in the state to overthrow the Reconstruction government in the 1875 election, delivering fiery speeches and employing other scare tactics to intimidate black voters and ensure a Democratic win. Davis switched parties and ran as the Greenback candidate for Congress in the bitterly contested 1878 election, losing to H. L. Mudrow and then retiring from politics. One of the greatest achievement of Davis’s life was the publication of his memoirs, Recollections of Mississippi and Mississippians. Popular with both his contemporaries and historians, Recollections provides an invaluable and unique glimpse into antebellum Mississippi life. Davis died suddenly on 24 October 1890.